Hunter Outdoor Elements Ceiling Fan - Raw Aluminium 54"
As the name suggests, the Outdoor Elements ceiling fan is an all-weather fan great for use in both indoor and outdoor areas. It is IP44 rated with five UV resistant, reversible blades. You have the option of either a palm leaf design (as shown in the main product picture) or a Natural Wicker. This raw aluminium model features a unique natural finish that will age to a beautiful weathered patina as time goes by. 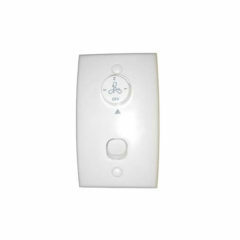 The Hunter Outdoor Elements ceiling fan is supplied with a pull chain for operation, however a wall control is available as an accessory. This fan features Hunter’s patented WobbleFree canopy with Anti Vibration Technology. It has a high performance 53W motor with heavy gauge copper windings, silicon steel laminations and precision sealed bearings for quiet operation. 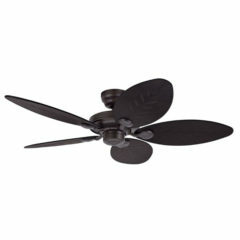 You can install these fans in one of two mounting positions; standard on flat ceilings or angled on raked ceilings up to 34degrees. The Outdoor Elements is light adaptable. 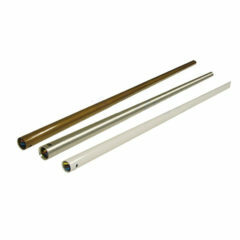 See other listings for these packages with lights or the accessories section below. 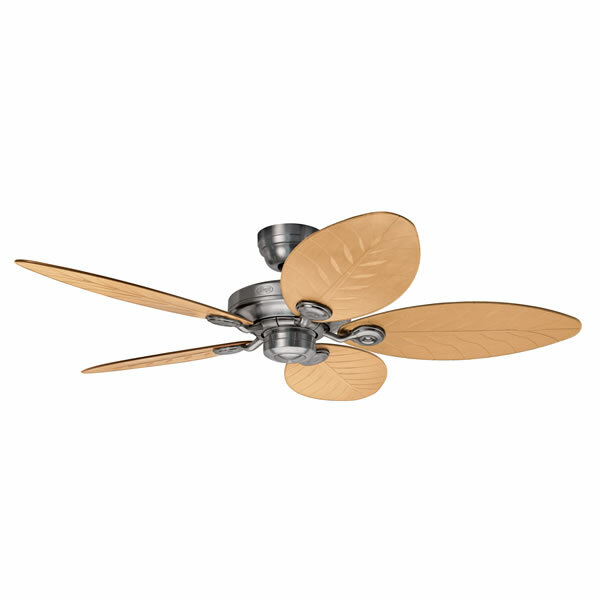 The Outdoor Elements II ceiling fan is suitable for both indoor and outdoor installations. 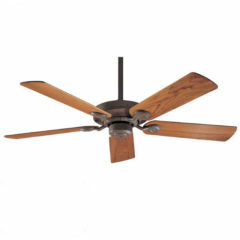 The Outdoor Elements is a Hunter fan which offers a tropical design with great features. Please note: There are no Weathered Brick extension rods available, however the New Bronze rods are an extremely close match for this fan. See below to find the listed accessories section.